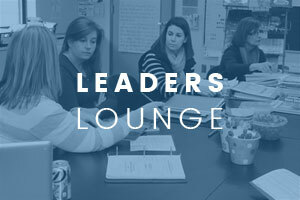 Cathy Mere substitutes in leading a meeting, and realizes the importance of always slowing down and taking the temperature of the room when beginning professional development sessions. 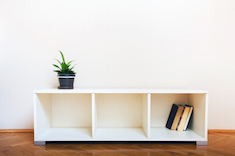 She shares her seven favorite strategies for slowing down and reading the room. Cathy Mere discovers her routine for celebrations at the start of staff meetings is leaving some colleagues out. She revises her thinking and practice for celebrations among literacy coaches all year long. In this brief video, Cathy Mere talks about how classroom visits that include demonstration lessons can build rapport with teachers but can also serve as a trap for literacy coaches. Literacy coaches Cathy Mere and Kelly Hoenie talk about some of their efforts to personalize professional development for teachers over the past year, and what they learned that they will carry into the fall. 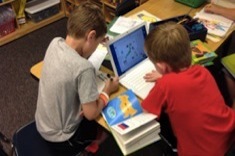 Cathy Mere shares two tech tools that are invaluable resources for her coaching. 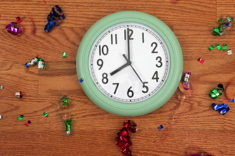 Have you paused yet to celebrate all you’ve accomplished with teachers this year? Literacy coaches Cathy Mere and Kelly Hoenie take a few minutes to reflect on what has gone well and the learning they will carry forward over the summer. Cathy Mere finds that what comes before and after classroom observations may be more important than the actual visit. She details the coach’s role in maximizing reflection and benefits from group observations. Cathy Mere remembers the many visitors to her classroom: most were inspiring, but a few made her want to shut the door on future observers. She shares how clear expectations for etiquette can build confidence and ease the concerns of the demonstration teacher. Cathy Mere suggests strategies for working with struggling students who read very little at home. 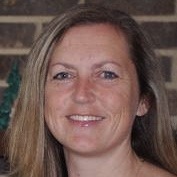 Cathy Mere builds a coaching community through focusing on inquiry all year long. She lists some of her favorite resources for introducing an inquiry stance. Cathy Mere finds that the last weeks of the school year are the best time for literacy coaches to reflect on long-term goals attained and missed, as well as to plan next steps. 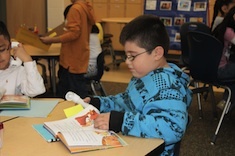 Cathy Mere finds that a Reading Ambassadors program pays big dividends in building confident and conversant young readers. Cathy Mere explains why it’s important as a reading support teacher to avoid assessments in the first days of school, and instead focus on getting into classrooms to observe and share resources. Cathy Mere shares questions literacy specialists and coaches might ask early in the year to build rapport with teachers. Cathy Mere finds that with young learners, not all issues with fluency are created equally — different needs require different strategies. Cathy Mere works with first-grade teacher Deb Frazier to ensure that struggling readers receiving extra support still have plenty of time for independent reading in literacy workshops. 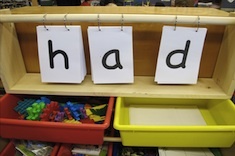 Cathy Mere shares tried-and-true strategies for word learning with struggling young learners. 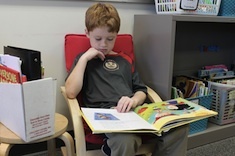 Cathy Mere shares what to look for and what to try next with young learners who are easily distracted and struggling to concentrate during independent reading. Cathy Mere finds that criteria for “just-rightness” varies with genre. 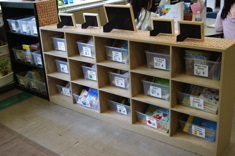 Cathy Mere explores the classroom library structures and texts that best support struggling young readers. 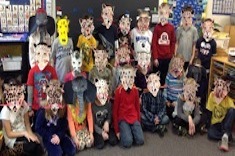 Cathy Mere finds many authentic ways for her first graders to share reading insights. Are the terms stamina and engagement synonymous? 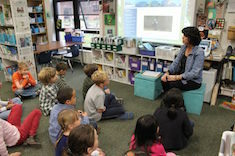 Cathy Mere defines the terms by observing her first graders. 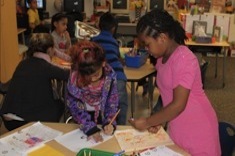 Shared reading and shared writing are essential instructional techniques in the primary grades. 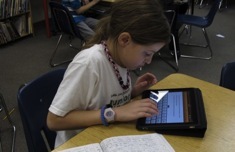 How about shared blogging for teaching children basic blogging skills? Cathy Mere describes how it works. Shark vs. Train! Fork vs. Spoon! Versus stories are incredibly popular in writing workshops these days. Cathy Mere found herself struggling to teach narrative conventions to students writing versus tales, so she created a booklist of mentor texts. 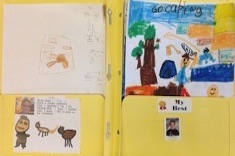 Cathy Mere finds the early days of school are all about kidwatching and connecting with her first-grade students during reading and writing workshops. She shares some terrific guiding questions that might also help new teachers hone their observation skills. Cathy Mere explains how she uses technology to stay in touch with students and families over the summer. Formative assessments are always a priority in classrooms. Cathy Mere explains how she uses a classroom wall display and conversations to highlight strong writing and help her first graders learn to assess improvements in their work. 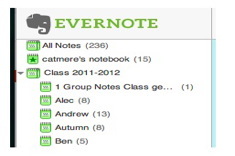 It can be difficult to move from print to electronic records in the classroom. After using a spiral notebook for 10 years, Cathy Mere did just that. Sammy is an avid reader in the classroom, but his teacher Cathy Mere notices he “accidentally” is always leaving the backpack with his intervention books behind. The challenge for classroom teachers is stocking books with titles that will interest Sammy, but still provide enough challenge and support to move him forward as a reader. 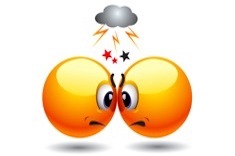 Is there a great divide in your classroom between numerical data from assessments and your anecdotal notes? Cathy Mere bridges the gap with her class reading grid, a nifty tool for recording and analyzing a whole classroom’s worth of student assessment data on one page. A template is included. Cathy Mere reminds us that the excitement of facing new students is always tempered and enriched by the lessons from last year’s students we carry with us.